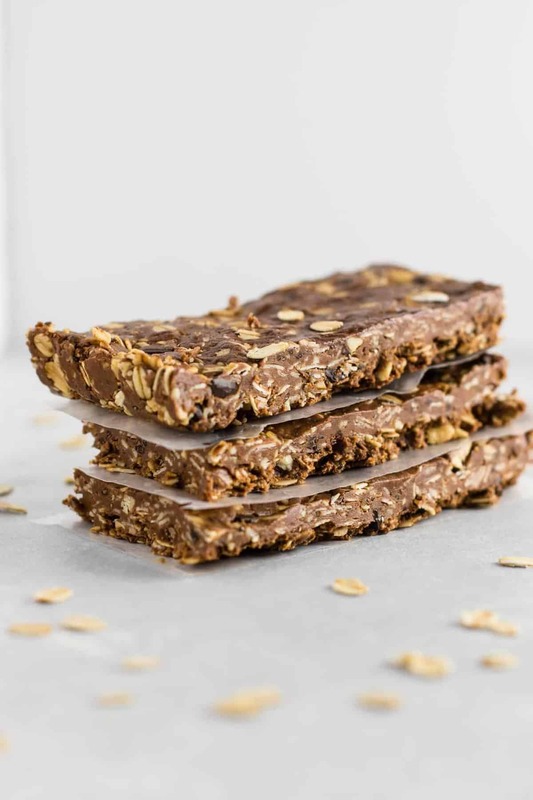 These chocolate cashew protein bars are an easy no bake snack. These are my latest recipe creation and perfect to keep on hand for when the afternoon munchies hit! I often find myself reaching for a protein bar mid afternoon when I get hungry, which is not always the healthiest option. Store bought protein bars are often full of tons of sugar and less than wholesome ingredients. After I made my homemade Chocolate Chip Peanut Butter Protein Bars, I couldn’t wait to try out more flavors! 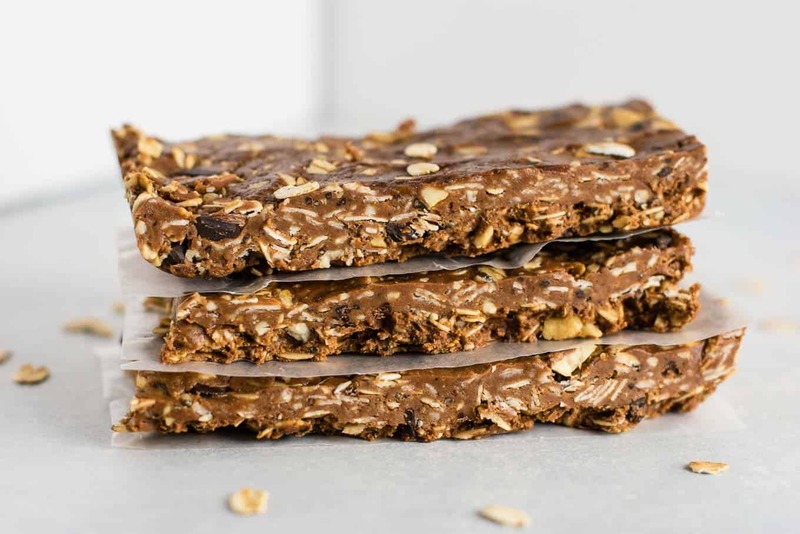 It’s really so easy to make your own protein bars at home. 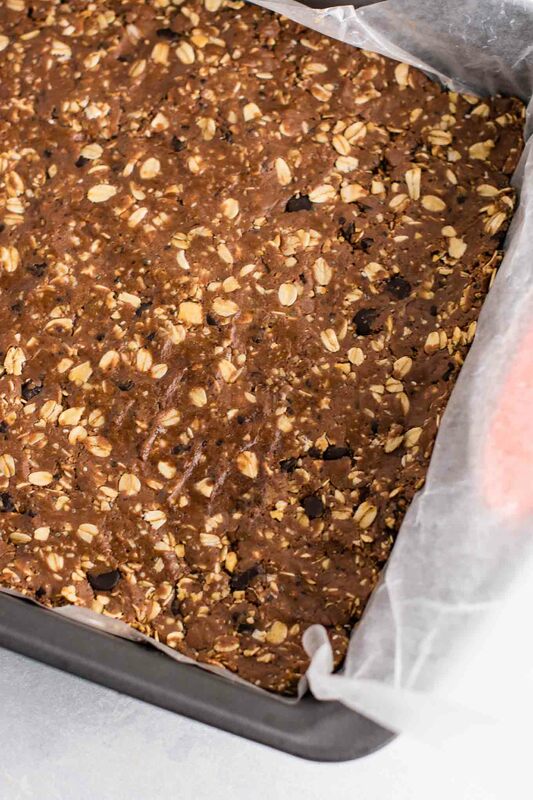 Next up: these chocolate cashew protein bars. 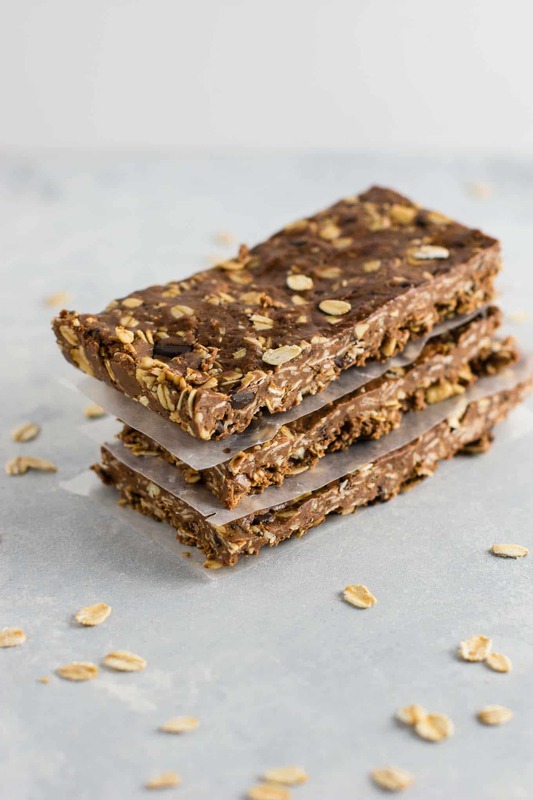 I’ve really enjoyed making my own protein bars, plus it’s saving us money every week! 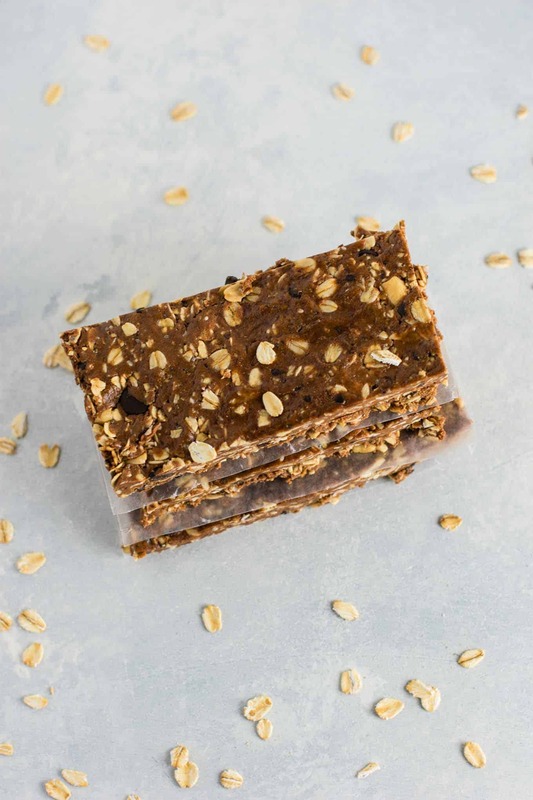 All you need are a few staples and you can make your own protein bars at home easily. 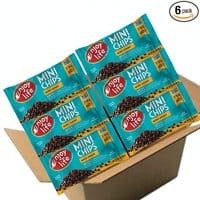 add ins like nuts and chocolate chips. With those ingredients as a base, there are tons of recipes you can create! Mix and match to create new flavors and combinations. I have only made a few no bake protein bars so far, but I am excited to keep trying even more recipes! 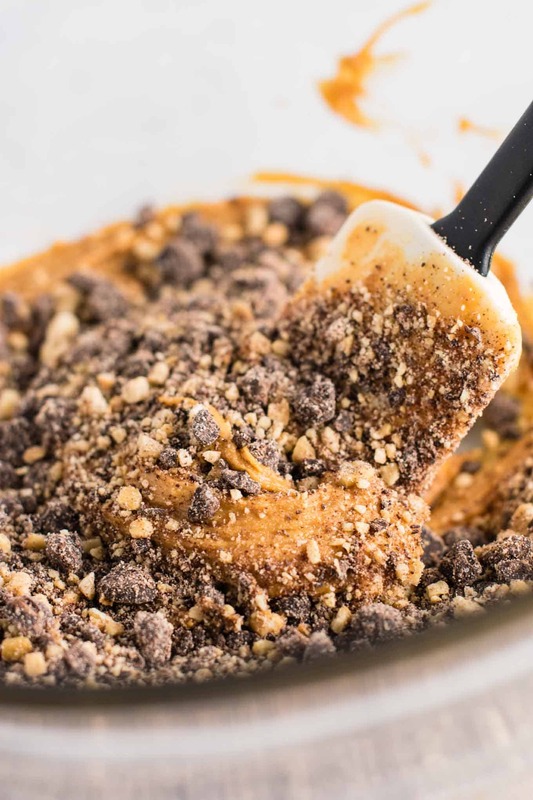 First, mix together the peanut butter and honey until combined. By not totally processing the chocolate chips and cashews, it leaves some little chunks that are great for texture in the bars. 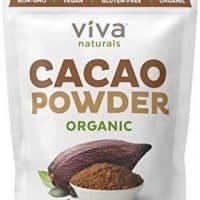 After you stir in the chocolate chips and cashews, add the rolled oats, cacao powder, protein powder, and salt. Use your hands to mix the batter until it is well combined (it should be dry, not sticky). Using your hands is easiest at this point because the batter will be thick and the easiest way to ensure it all mixes together is to sort of knead it with your hands. Line an 8 X 8 pan with wax paper, and leave enough overhang on the edges for easy lifting out after the protein bars set. This will make your cleanup a lot easier! I always use wax paper when making no bake recipes like this one, or my healthy no bake cookies or healthy peanut butter freezer fudge. Press batter into the wax paper covered pan, and make sure to press evenly into all of the corners, until it is a smooth layer on top. Use your fingers to press the bars into the edges of the pan, then use a rubber spatula to flatten the top of the bars until flat. Place in the freezer for 20 minutes, or until set. Lift up wax paper to remove the bars from the pan. Slice into 8 bars using a knife, and store in the fridge or freezer until ready to eat! 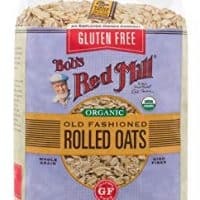 We loved these and they were a nice change from the often too sweet protein bars that we usually buy. I really recommend making your own protein bars! You can control the sweetness and ingredients and it really isn’t hard to do. These were so delicious! 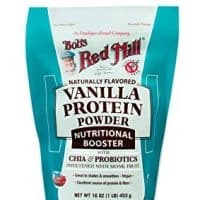 I love the salty sweet flavor from the chocolate and cashews. Looking for more ways to make protein treats at home? Here are a few of my favorite recipes! 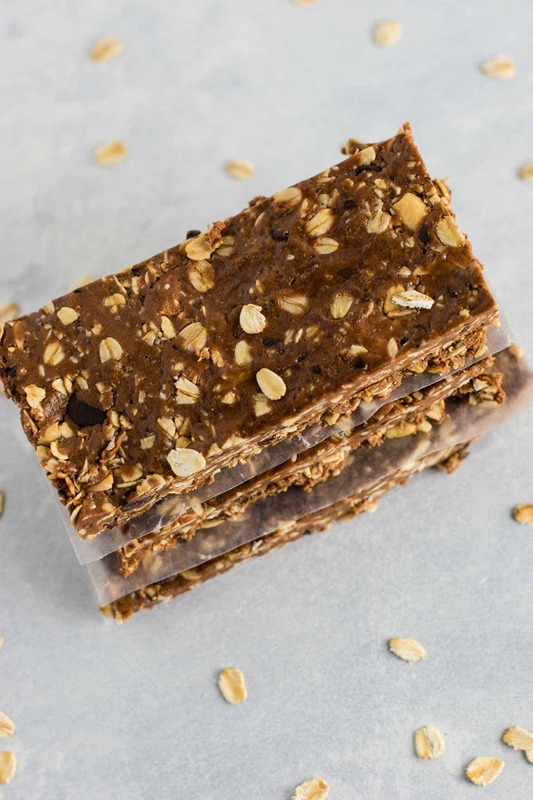 Easy no bake chocolate cashew protein bars are a delicious homemade snack! Add cashew/chocolate chip mixture to the bowl along with the peanut butter/honey. THANK YOU! . I need to try this .And I believe I have all of the ingredients on hand! Nice but WAY too sweet. Will cut down on chocolate chips, honey and peanut butter next time I make this.